loods triggered by heavy rains have killed 24 people and left four others missing in central Vietnam, disaster officials said Monday, as Typhoon Sarika approaches after leaving at least two people dead and displacing more than 150,000 in the Philippines, Associated Press reports. n the worst-hit province of Quang Binh, 18 people died and authorities are searching for three others who are missing, disaster official Tran Le Dang Hung said. Heavy rains of up to 90 centimetres (3 feet) on Friday and Saturday submerged 125,000 homes in the region, temporarily disrupted the North-South Highway and damaged infrastructure, crops and fish farms. 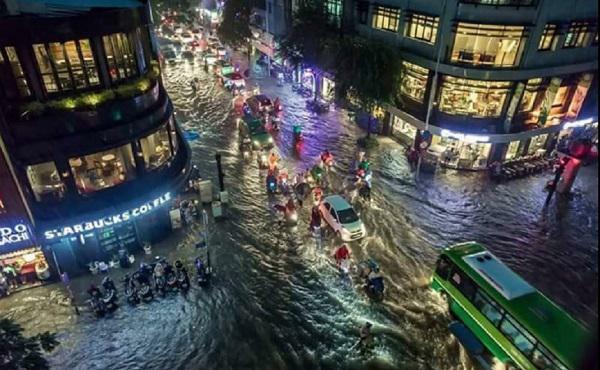 The Typhoon is over in the South China Sea and was moving at the speed of 15 kilometres (9.3 miles) to 20 kilometres (12.5 miles) per hour heading toward northern Vietnam, according to Vietnam's national weather forecast centre.